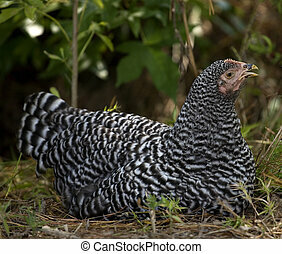 Black and white hen. 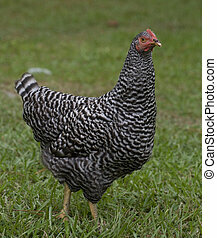 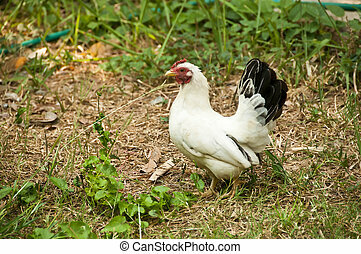 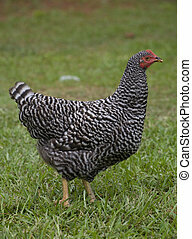 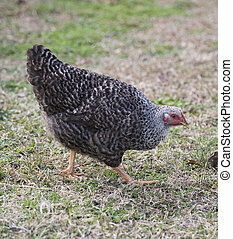 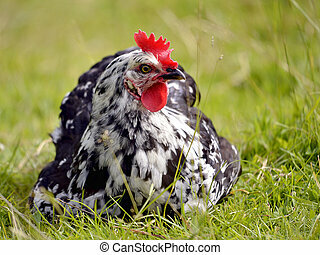 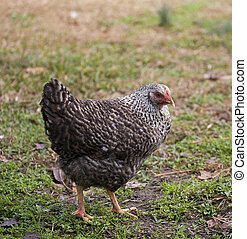 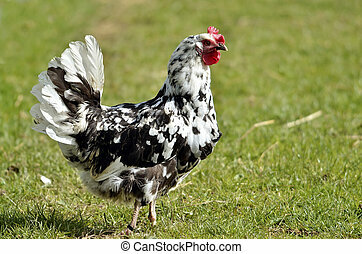 Black and white chicken hen that is walking on grass. 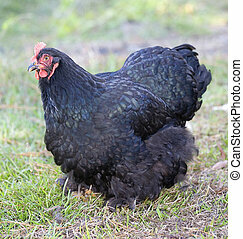 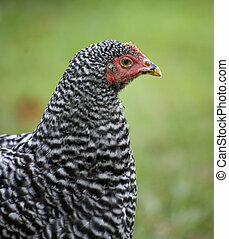 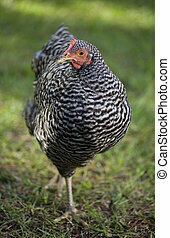 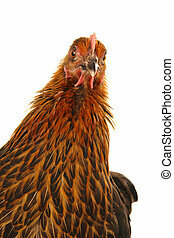 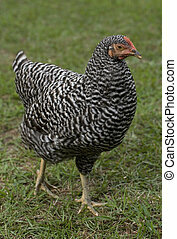 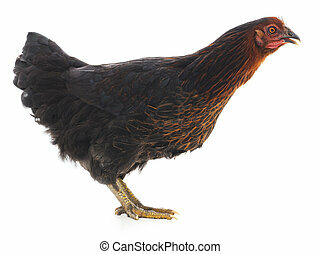 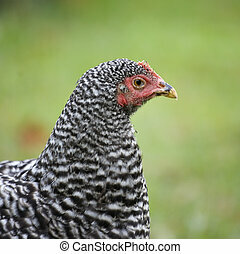 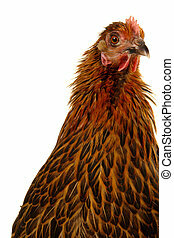 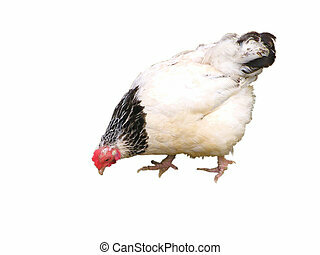 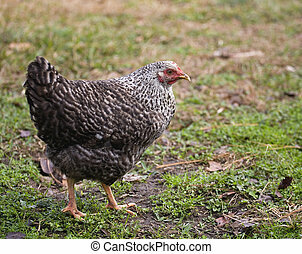 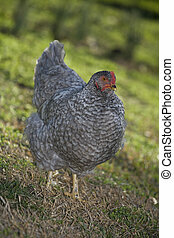 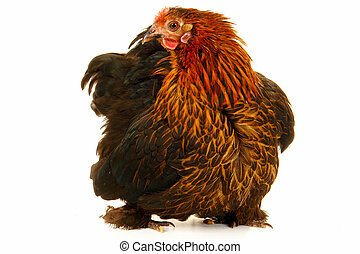 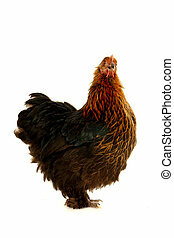 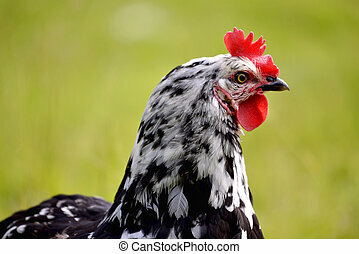 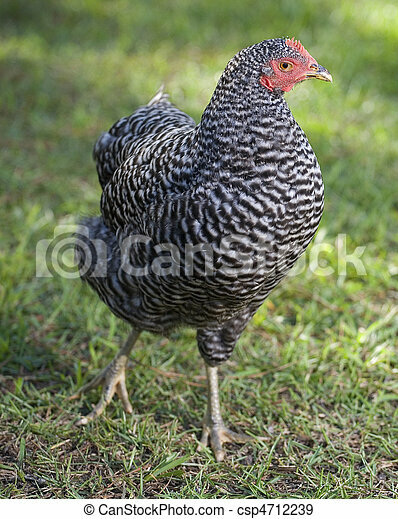 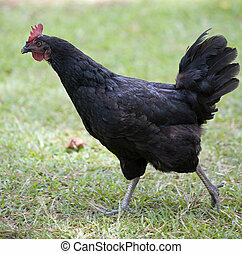 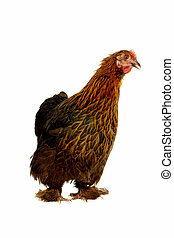 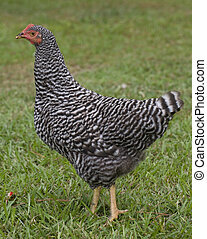 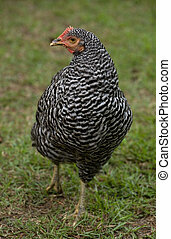 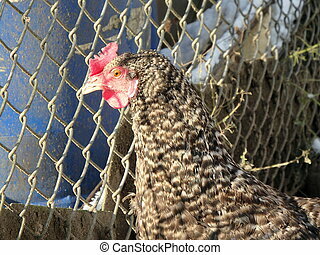 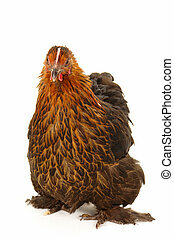 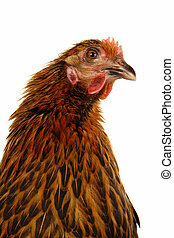 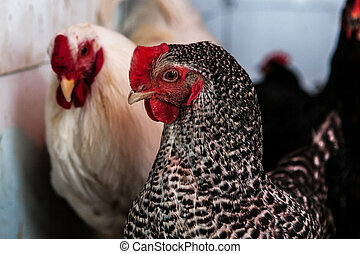 A soft black and white chicken walking around and pecking on a white background.